With the first half of 2015 coming to a close, we’ll spend this week at Bucket Full of Nails visiting albums released early in 2015 we overlooked, meant to get to but didn’t for one reason or another, or simply discovered after the fact. First up is This Red Mountain, the debut album from Some Dark Holler’s Chris Porter. Released in March, This Red Mountain stands as the hallmark of Americana music in 2015. Featuring Whitmores Bonnie and Eleanor, the latter’s husband Chris Masterson (both of The Mastersons and Steve Earle & The Dukes) and production from Will Johnson (Centro-matic, South San Gabriel, Monsters of Folk, New Multitudes), the focus here is on Porter’s lyrics. Be it the 80 proof blues of album opener “Hardest Healin’,” the new-classic country duet “Don’t Let Me Go” with Bonnie Whitmore or the redemptive autobiographical title track, This Red Mountain balances questioning and resignation. 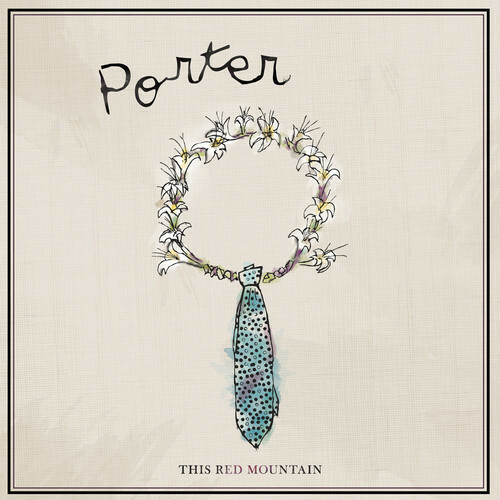 Showing a less-personal side on the castigating “Reach for the Sky” and wavering country of “Goodbye Maria” with its New Orleans sing-along, Porter adds levity to the oft-painful, empathetic and never-faltering beauty of This Red Mountain. 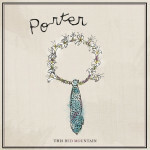 Regardless of the names involved in its recording, in the understanding hands of Johnson This Red Mountain is Porter’s calling card. A purposely under-polished gem that allows Porter’s lyrical clarity to shine bright, This Red Mountain marks Porter as a musical poet for years to come; southern by nature, Porter transcends geographical boundaries with his acute understanding of the human condition on the flawless This Red Mountain. Stream/download “Hardest Healin'” below and purchase This Red Mountain here.